Various dishes: Serve rice bowl dish, grilled fish and sake! 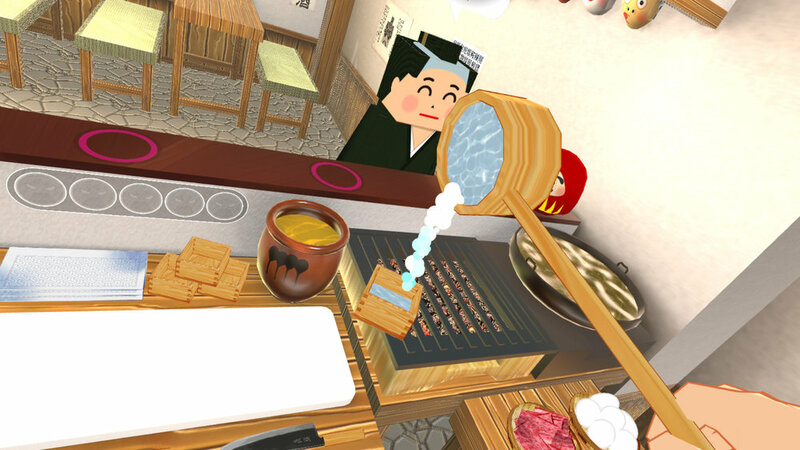 Realistic cooking action: Fry and cut a cutlet, cook chiken with egg, grill a meat or fish, and pour sake! Cat: That guy who likes raw fish! He activates "bullet time". Is he a god? Goldon: Goldon is the golden bowl! You can find it if you cook faster. 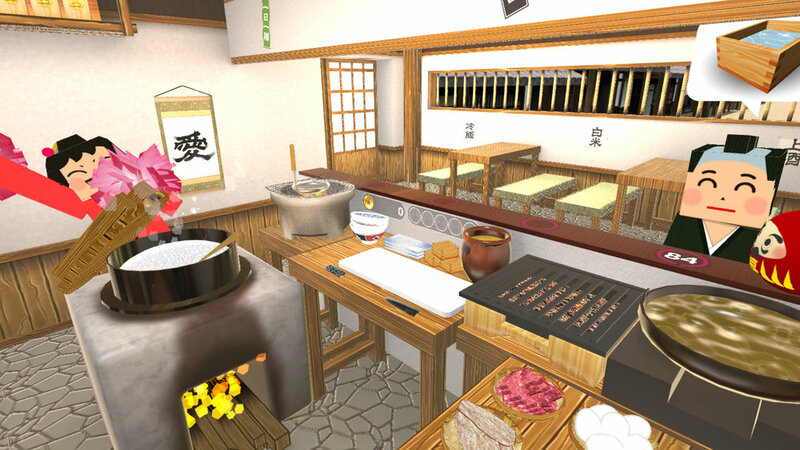 Counter Fight SE is a fast-paced VR game where you cook and serve a variety of dishes to eccentric hungry customers.